Mandorloil Sweet vanilla of Tahiti - Scented Almond Oil enriched with organic Sesame and Sunflower oil. 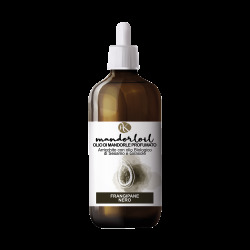 Mandorloil Black frangipani -Scented Almond Oil enriched with organic Sesame and Sunflower oil. Mandorloil Coconut - Scented Almond Oil enriched with organic Sesame and Sunflower oil.